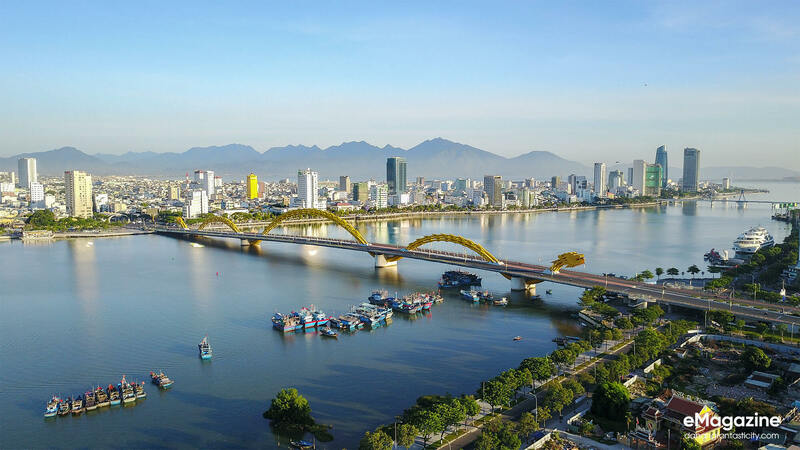 Dragon Bridge was officially opened in 2013 after a two-year-long construction, commemorating the 38th anniversary of Da Nang City’s liberation. 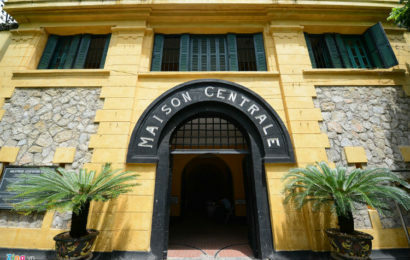 According to local beliefs, which date back to the Ly Dynasty, the dragon is a significant symbol of power, nobility and good fortune. 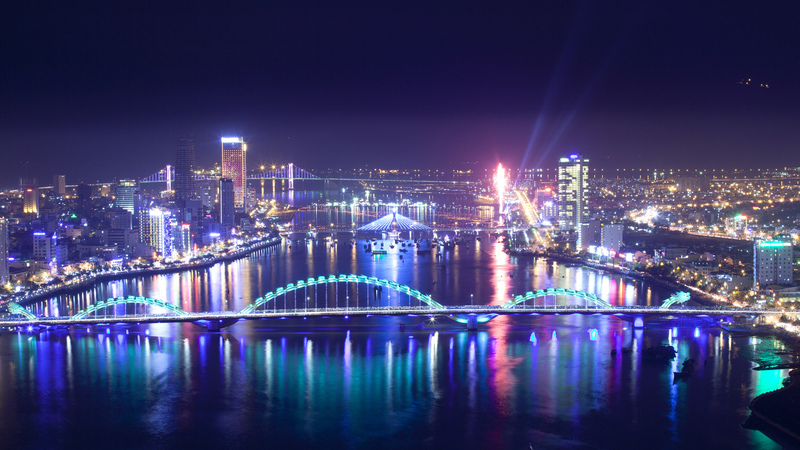 Dragon Bridge Da Nang is particularly cool (and packed with sightseers) in the evening as it is illuminated with colourful LED lights. 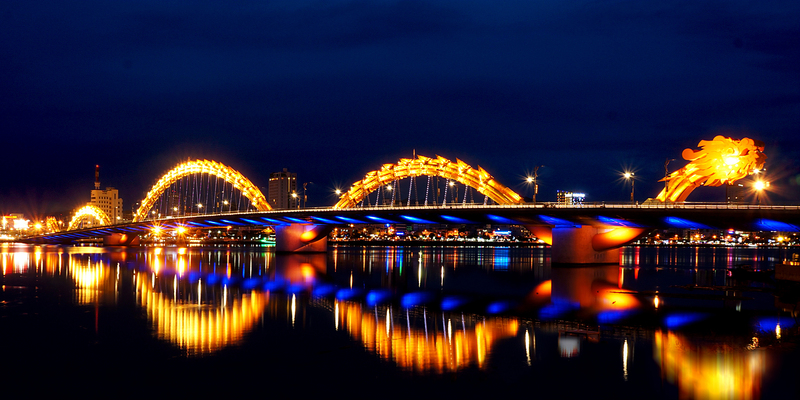 Dragon Bridge is also a magnificent sight at any time of the day. 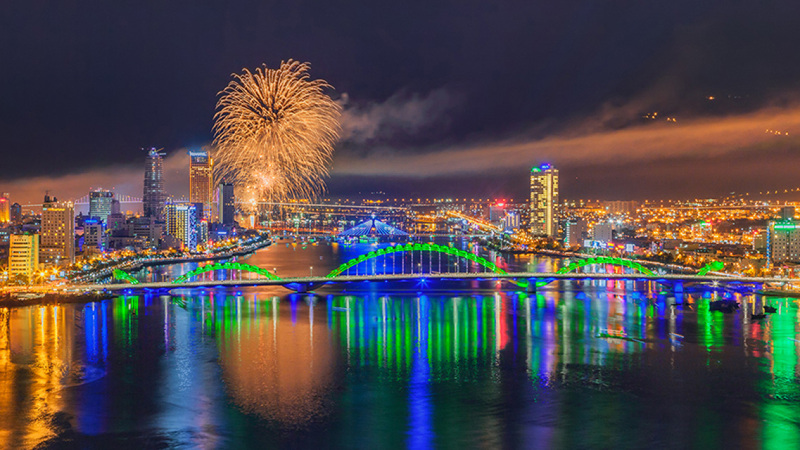 Dragon Bridge in Da Nang is the longest bridge in Vietnam, offering a dazzling display of lights, fire, and water that no first-time visitor to Da Nang should miss out on. 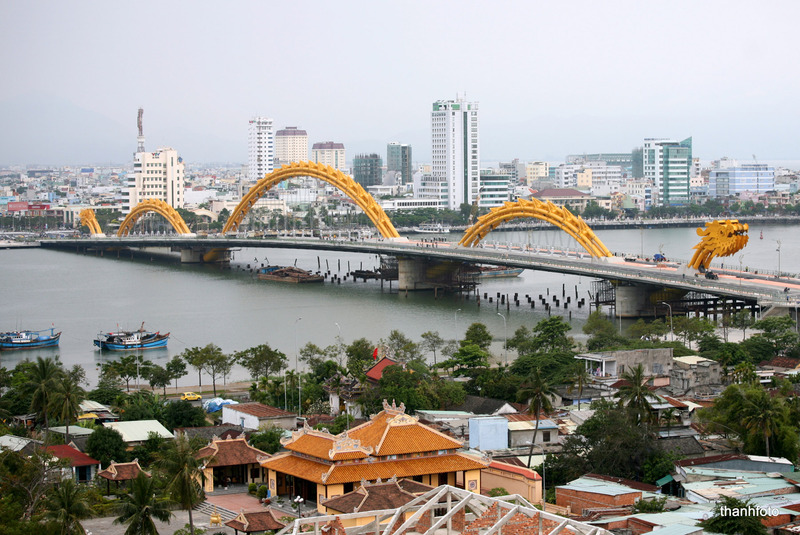 Measuring at 666 metres in length, it is located in Da Nang City and constructed in the shape of a golden dragon. In dawn the Dragon Bridge becomes majestic and more mystical. 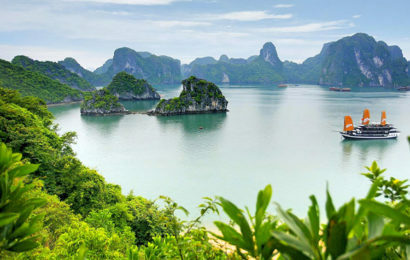 You can come to see Linh Ung pagoda in Da Nang. Or find it through our writing. 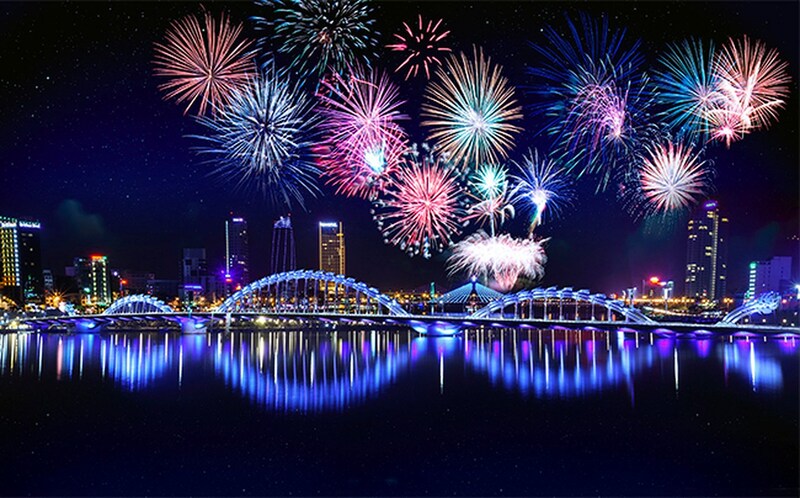 In the festive season the bridge is busy and welcomes many visitors to visit. 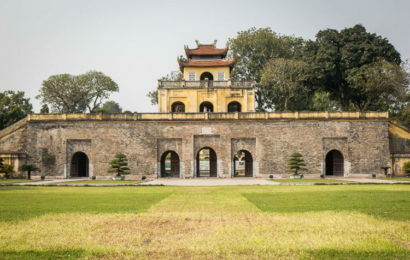 There are also plenty of riverfront bars, restaurants, and cafes offering terrace seats that overlook Vietnam’s longest bridge. Alternatively, you can opt to sit at the waterfront (where marble carvings of animals and deities are set along the Han River) to enjoy the view. With the photos above we hope to help you somewhat understand the Dragon Bridge.